This listing is for a 5x7in personalized invitation ONLY. Matching favor tags, door signs, and candy table signs are available upon request. You can purchase the digital download for $12. A proof will be sent via email 24 to 48 hours after the purchase is made. Once the proof is approved, the final files for printing will be emailed to you. You can purchase PRINTED + SHIPPED invitations. 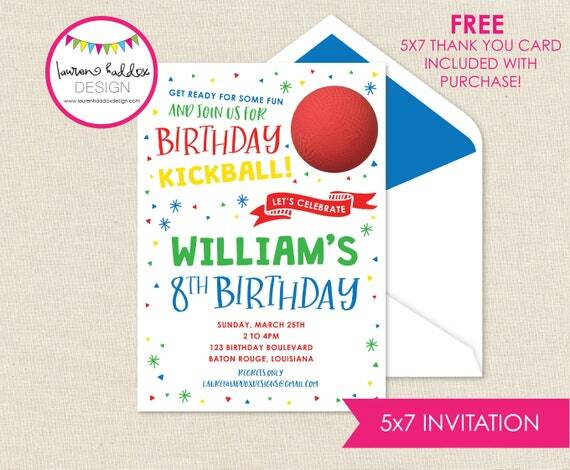 The listed price includes invitations, envelopes and the cost of shipping. A proof will be sent via email. Once approved, the invitations will be printed and shipped. Invitations are printed on 110 pound card stock with white envelopes.